It’s important to remember that every child will respond differently, and some days they will be more sensitive than others. 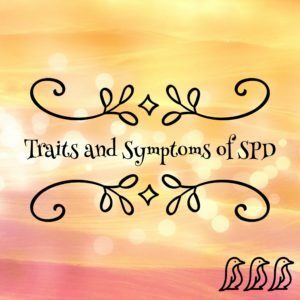 If you suspect your child may be dealing with SPD, please get them tested and help as soon as possible! 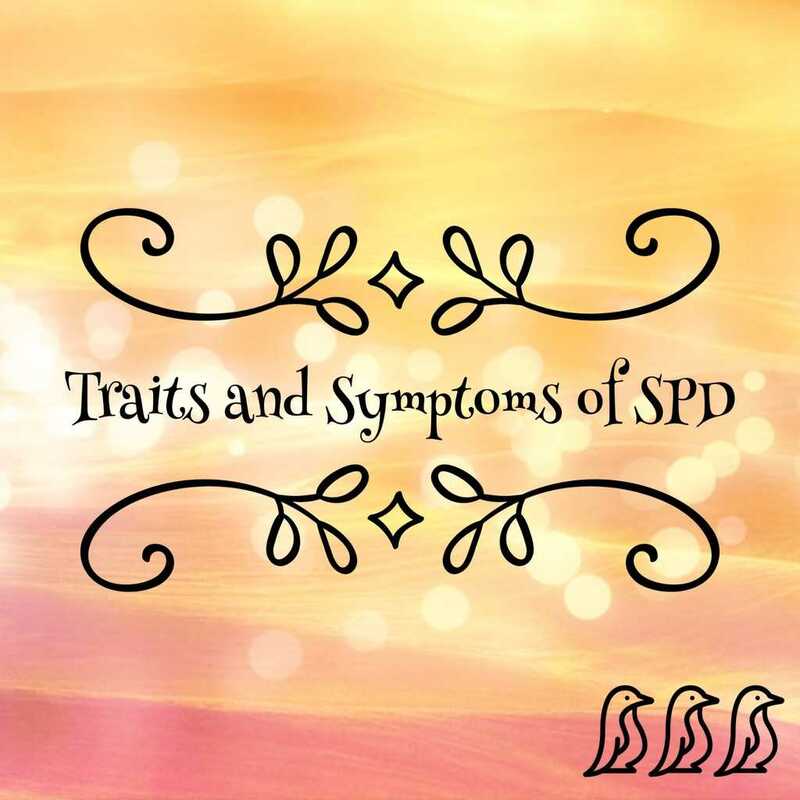 Even if your child does not deal with SPD, it is beneficial to know these traits so that incase a child ever comes into your home that is dealing with any of these symptoms, you know how to create a more pleasurable environment for them. Some children may experience only one or two of their senses being hyper or hypo sensitive, while other’s may experience a whole combination. Please understand that below does not nearly include all of the possible symptoms, and I know that there are more in-depth versions, but here are the basics that I have researched. At the bottom is also a link to a free printable that includes the points mentioned below. It may be a good idea to print that out as a reminder for everyone in your house on how to respond to a more sensitive guest. May be bothered by or dislike smells that typically would go unnoticed. May be easily distracted by other visual stimulants such as movements, colors, decorations etc. Again, no two children are the same, and no child is the same every day. It’s important to remember that when working with a child that has SPD, you need to stay patient, know their “triggers” or struggles, offer options, and sometimes even think outside the box. Please do not force them to do anything that is uncomfortable, because to them this can be very physically painful. There are so many incredible resources, doctors, therapy options, and products designed specifically for children with SPD. So the sooner you can get a diagnosis and some help, the sooner you can try to move on with your life – just maybe in a new way implementing some new techniques that make your little one more comfortable. Please read and print out my Sensitive Child Printable to keep as a reminder. By knowing these “triggers” ahead of time, you can prepare a more comfortable environment for everyone. Many children find weighted blankets calming; however, a full-size blanket can be overwhelming & expensive. 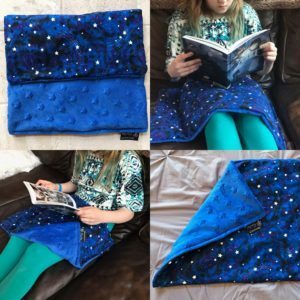 This weighted lap blanket is a great solution! It is made with super soft minky fabric on one side & glow-in-the-dark star fabric on the other. The blanket measures 20″ x 15″ & weighs about 3 pounds. This product is made by Komfy Couture.